‘What’s Cookin’? Well a great line up for next Sunday 17th that’s what! And we will be there giving it our Sunday Best! Turn up the heat! Gonna be a good one! Sunday 17th July – All dayer!! 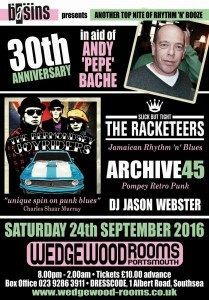 40 years of Punk! 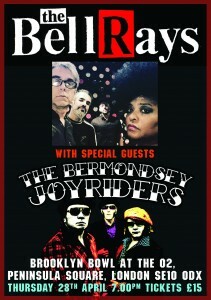 The Bermondsey Joyriders are on the Friday 27th line up and well up for it! Gonna be a big one! Lets all be there! 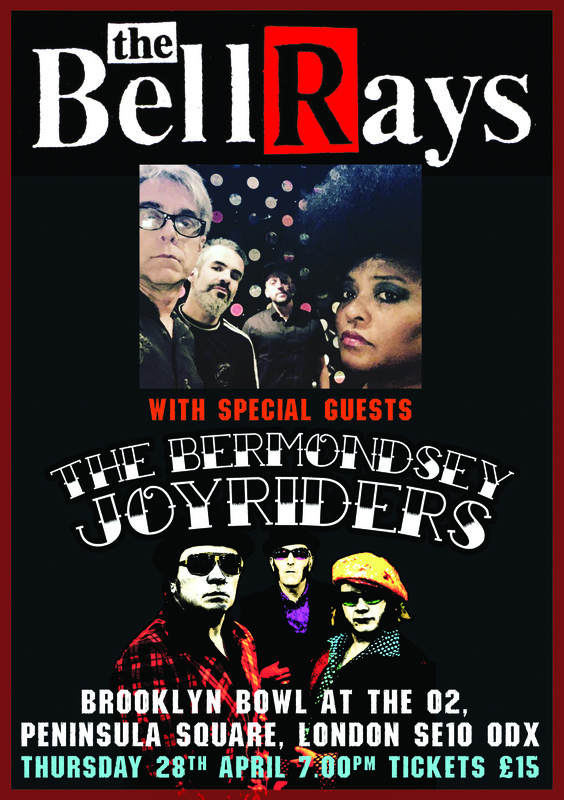 We are very excited that we have been invited to support The Bellrays at The Brooklyn Bowl in Greenwich at The O2 on Thursday 28th April. Thank you kindly to Ruport Orton at Punk Rock Blues and thank you kindly to The Bellrays. We are delighted to announce that we have been invited to play at this year’s Polyfest 3 at The Half Moon Putney on Saturday April 30th. It’s for a great cause so why not make a big effort, put on your finest threads at get down there. 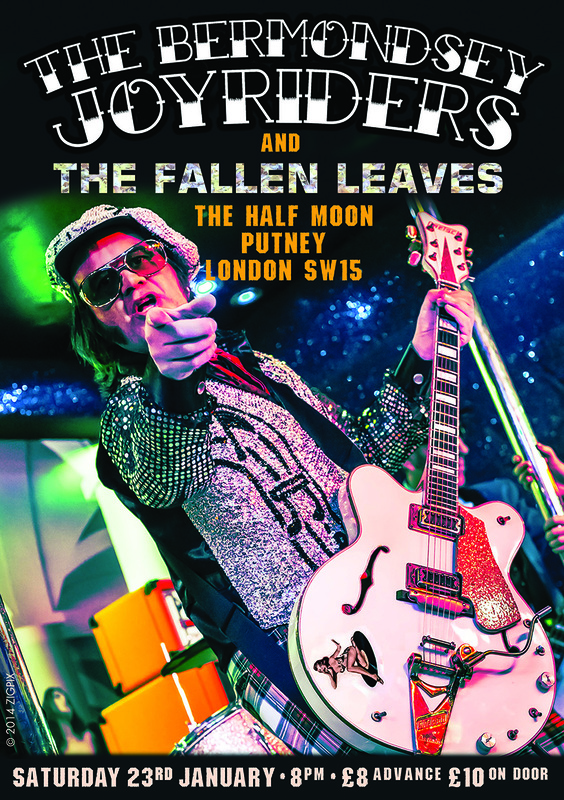 THE BERMONDSEY JOYRIDERS AT THE GARAGE WITH CHELSEA AND THE MEMBERS! 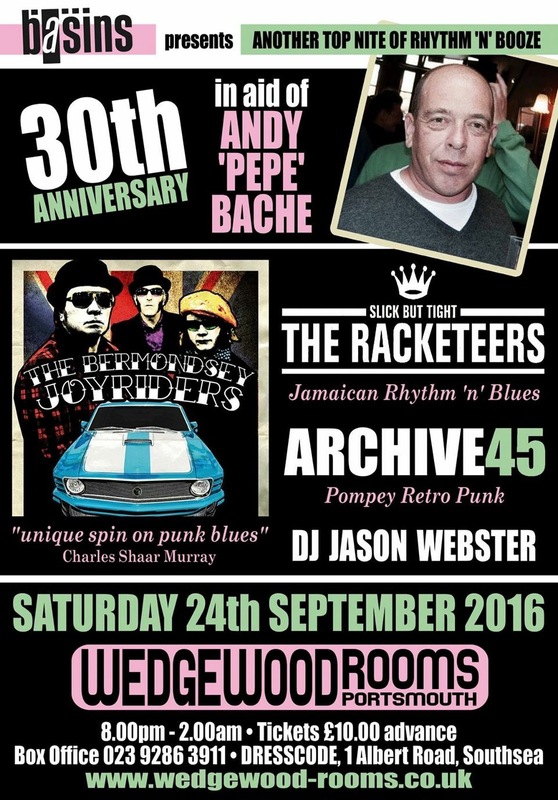 We are very happy to have been asked to play The Garage on Saturday April 23rd with our friends Chelsea, who are celebrating their 40th anniversary and The Members. What a night! THE BERMONDSEY JOYRIDERS SOUTH OF THE RIVER IN JANUARY ! With our good friends the fabulous The Fallen Leaves. Copyright 2019 The Bermondsey Joyriders All rights reserved.